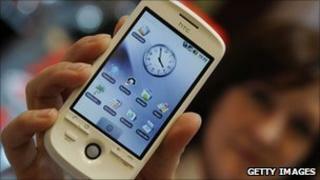 The cost of calling mobile phones from other networks and landlines is set to fall after Ofcom imposed cuts. Termination charges - the fee mobile phone firms charge rivals for handling calls from their networks - will fall by 80% over the next four years. Mobile operators charge between 4.18p and 4.48p to the cost of delivering a call to another network. But Ofcom wants this reduced to 0.69p by 2014-15, and says it expects the cuts to be passed on to customers. The phased reductions will begin on 1 April with the termination rate for the big four operators - O2, Everything Everywhere, Vodafone, and 3UK - cut to 2.66p. The new charging structure should benefit smaller mobile phone operators, which will be able to offer more competitive prices. Lower termination rates will also reduce the cost to landline companies of passing calls to mobile phones. The regulator said that while mobile phone companies will lose money from the reduction in charges, they are earning more revenues from the rapid growth of data services, such as text messaging. Termination rates only apply to voice calls. John Petter, managing director consumer, BT Retail, said: "Ofcom has made some worthwhile reductions in mobile termination rates, which will benefit customers in the near future."